Do you like fish? How about octopus, shrimps, and calamari? Have you already tried oysters? 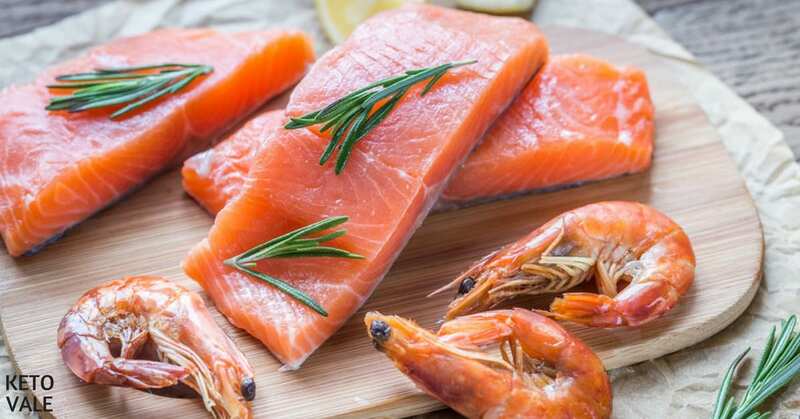 Adding seafood to your diet has plenty of amazing benefits, and the majority of it is totally keto-friendly due to its very low carb content, on top of being very nutritious. The exception would be some types of shellfish, which can be higher in carbs and for which you’d need to plan a bit in order to fit them in your macros, such as mussels (a serving can still be squeezed in – you just need to be strategic about it). 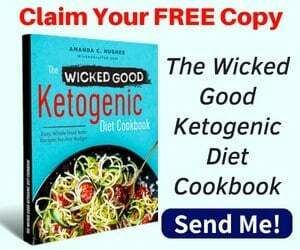 Let’s see what the different types of seafood can do for your health – and why it’s a good idea to make a point to regularly include seafood in your keto diet. Seafood is extremely rich in a number of nutrients that play an important role in health, and some of them are relatively hard to obtain from other food sources. Most seafood is high in omega 3 fatty acids, which have a significant impact on your general health, and especially on the health of your cardiovascular system – they lower the risk of heart disease & stroke, help reduce triglycerides levels, lower blood pressure and raise HDL (the “good”) cholesterol levels. Getting sufficient omega 3 from your diet plays a role in mental health – it can help combat depression and anxiety, and can even help with the management of ADHD symptoms in children. It can lower the risk of brain diseases, such as Alzheimer’s, and other types of and age-related cognitive deterioration (1). Additionally, it lowers inflammation and is beneficial for people suffering from autoimmune diseases, such as psoriasis, arthritis, lupus, Crohn’s disease, and more (2). Fattier types of fish are considered to be the healthiest out there, exactly because they contain more omega 3 fatty acids. 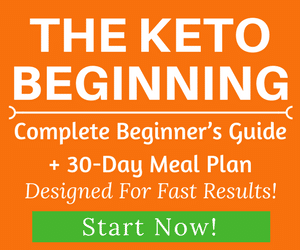 Which is excellent news for us, ketoers, as on keto you’ll likely be consuming more fat than on the standard modern diet, and if you choose the types of fat that are good for you, you’ll be aiming for optimal results. Protein is also very important, though, which brings us to the next point. Seafood is rich in protein, which is essential for preserving your lean body mass and for maintaining the proper functioning of your tissues and organs. 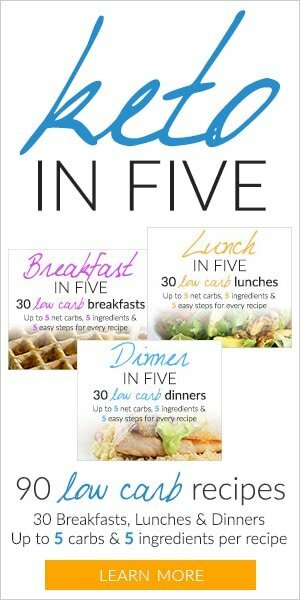 Based on your goals and macros, and on the rest of the food you’ll be consuming on a given day, you can opt for fattier or for leaner types of fish. Animal protein is the best you can get in terms of quality and bioavailability, and seafood is a great source of it. The specific micronutrient content of seafood will vary based on the type, but overall seafood is packed with important minerals and vitamins – it truly deserves a superfood status! Selenium, iodine, B-complex vitamins, vitamin A, vitamin D, iron, zinc, and more, can all be found in different varieties of seafood, and eating smaller fish, where you don’t remove the bones, such as sardines, is an excellent way to get enough calcium from your diet (especially if you have cut out dairy or are intolerant to it). Calcium is essential not only for your bones & teeth, but also for the proper functioning of your muscles, blood clotting, and your heart rhythm. Seafood is incredibly varied, and you can hardly ever get bored of it. If you don’t like one type of seafood, there are plenty of others to try, either fish or shellfish. It doesn’t have to be expensive, either – check your local fish market, if you have one, and keep an eye on the deals in your local supermarket, if it has a fish aisle. If you live close to the seaside, you’ll have access to a much bigger variety, but even if you live far from it, you’ll still have at least a few good options. Canned fish is also an excellent alternative, and usually, it’s quite affordable – canned mackerel, tuna, salmon, sardines are readily available almost anywhere. 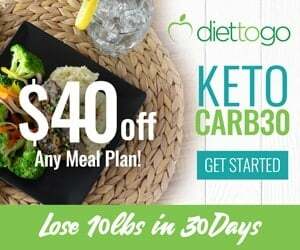 Salmon is an excellent choice for keto – it has no carbs, and Atlantic salmon contains between 6.2 to 13.4 g of fat per 100 g, depending on whether it’s wild or farmed (yes, farmed salmon is approximately 2 times fattier). It contains a high amount of healthy fats including omega 3 fatty acids, which are very beneficial for your heart, brain, skin, and general health. This is why many fish oil supplements are sourced from salmon. Additionally, it’s an excellent source of selenium, which is a potent antioxidant, helps prevent the decline of mental capacities, associated with age, and plays an important role in thyroid health. On top of that, salmon contains lots of potassium (between 363 and 490 mg per 100 g) and magnesium, both of which are very important for keto, as well as B-complex vitamins. Because of its higher fat & protein content, salmon is quite filling, so use that to your advantage when dieting and planning your meals. Of course, wild-caught salmon is better for you, as it has a much better omega 6 to omega 3 ratio and is higher in minerals, but can be quite pricey, depending on where you live. If wild-caught salmon is not readily available to you, don’t let that limit you. Mackerel is also a fattier type of fish – 100 g of Atlantic mackerel (the most common type) contain approx. 14 g of fat, 0 g carbs, 18.6 g protein and come at 205 calories (5). It’s very high in vitamin D, and is one of the few food sources of it – 100 g contain 360 IU of it, or 90% of the daily recommended value. It’s also an excellent source of magnesium and potassium, along with B-complex vitamins and selenium. It’s also one of the best sources of omega 3, along with other types of seafood. Overall, its nutritional profile is quite outstanding. Mackerel is one of the most popular types of fish out there, and it’s also widely available in a canned form, with or without olive oil or sauces. If you’re buying canned mackerel, make sure to check the label for the specific macros per serving, if it contains anything else but mackerel. Trout is another fish that is relatively easy to find and is packed with important nutrients. A 100 gram serving of rainbow trout (the most common type) contains 5.4 g fat, 21 g protein, 0 carbs and has 138 calories (6). Similarly to salmon and mackerel, it’s a great source of B-complex vitamins, as well as of potassium, magnesium, and selenium. 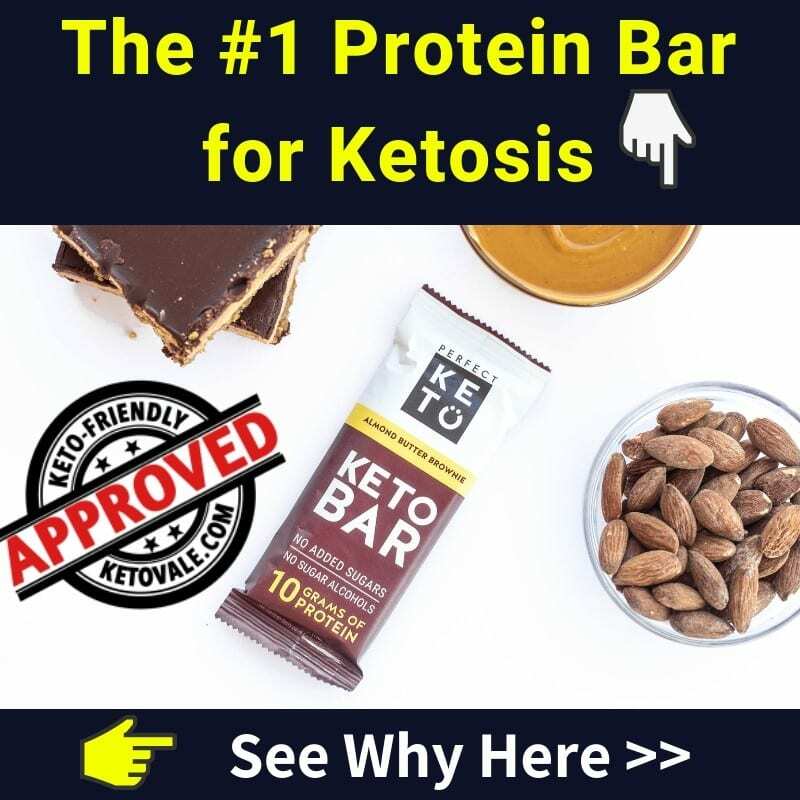 It contains lots of phosphorus, which is important for things such as tissue growth and repair, bone health, and the filtering of waste in your kidneys. 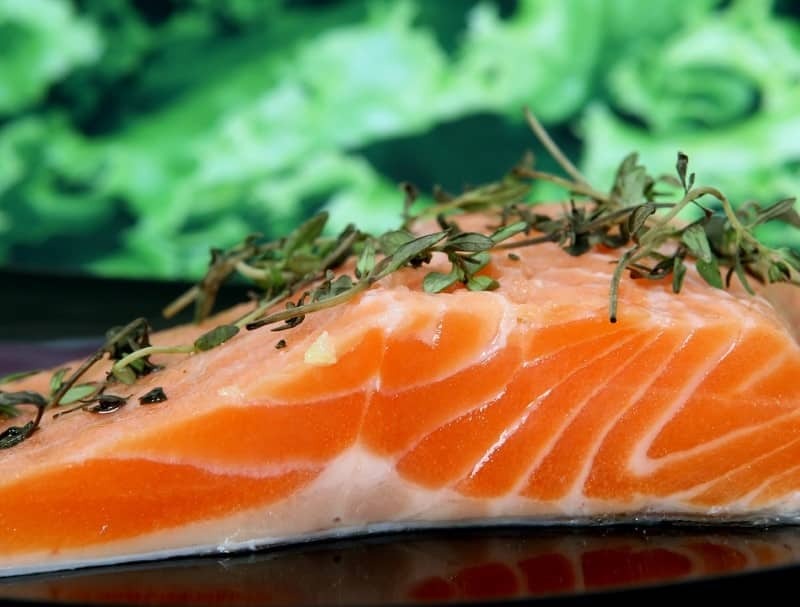 Additionally, it’s packed with omega 3 fatty acids – a 100 g of trout contain 986 mg of it. Trout is excellent grilled or oven-baked, so if you haven’t tried cooking it at home, it’s definitely worth a shot. Tuna is widely available all over the world, either canned, frozen or fresh. It comes in a few varieties, such as Albacore, yellowfin, bluefin, and skipjack tuna. A 100 g of raw yellowfin tuna has 108 calories, 0 carbs, 0.9 g fat and 23.4 g protein, while the bluefin variety is fattier and more flavourful – it contains 144 calories per 100 g, 0 carbs, 4.9 g fat, and 23.3 g protein (7). Bluefin is generally consumed fresh (either raw or cooked), while Albacore and yellowfin are often available in canned form. As with other types of seafood, tuna is very rich in B-complex vitamins, as well as in selenium, phosphorus, magnesium and potassium. It also has an outstanding omega 3 to omega 6 ratio, which makes it very heart-healthy. Because of the fact that tuna is quite lean, you might want to add some fat in cooking, based on your macros and specific goals. Tuna is one of the larger sea predators, and because of being high in the food chain, it contains a non-negligible amount of mercury. This doesn’t mean that you should exclude tuna from your diet, but rather that it’s a good idea to limit it to 1 or 2 servings per week, which is especially important for pregnant women or children – tuna shouldn’t be a staple of your diet, but can be a very nice addition. Shrimp is probably the most common type of shellfish and is available in a number of varieties. It can be a bit of a hassle to peel, however, its nutritional benefits are worth the extra effort. Depending on the types of shrimp, a 100 g serving contains 106 calories, 0.9 g carbs, 1.7 g fat, and 20.3 g protein. It’s loaded with selenium and vitamin D, and is a good source of copper, iron, and B-complex vitamins (8). 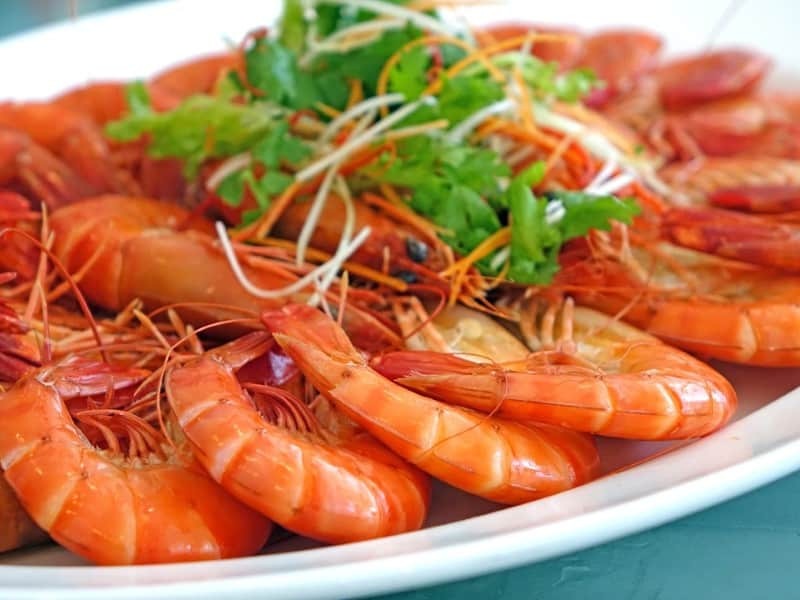 Although it contains cholesterol, there’s no reason to fear it – a study has demonstrated that consuming 300 g shrimp per day actually lowered triglycerides and had a beneficial effect on the HDL to LDL ratio. Shrimp is also a good source of iodine, which is an essential mineral for thyroid health, and many people are deficient in it. Although mussels do contain some carbs, they have plenty of benefits, so we still wanted to include them in our list. 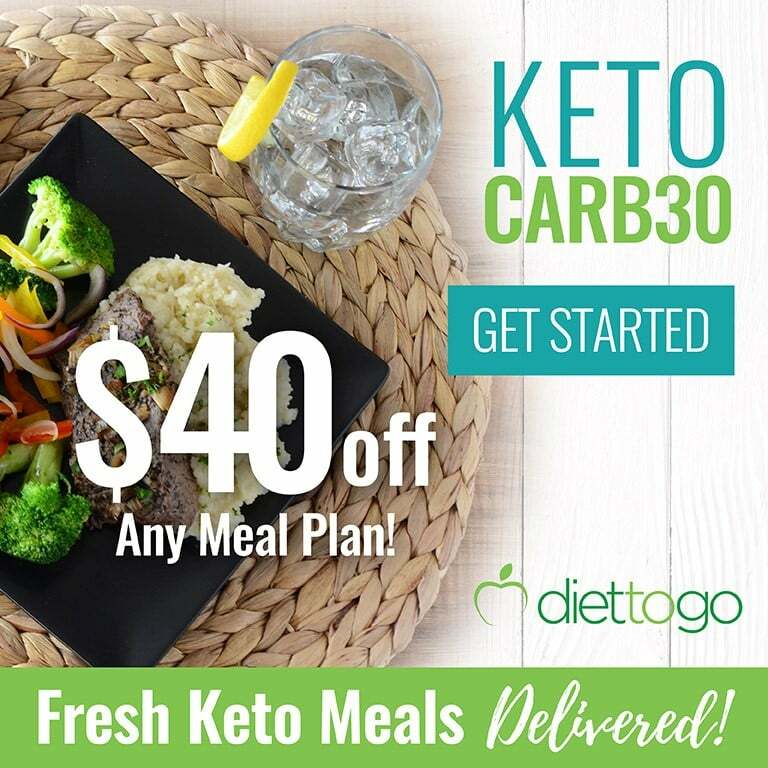 The carb amount is sufficiently low for you to be able to fit them in your daily macros from time to time – a 100 gram serving comes at 3.7 g net carbs, 2.2 g fat, 11.9 g protein and 86 calories (9). Mussels will provide you with a number of essential micronutrients, such as B-complex vitamins, and especially B12, as well as selenium, manganese, phosphorus, and iron. Despite their low calorie-content, most people find them to be quite filling, so a 200 g serving of mussels from time to time can be an excellent addition to your diet, and especially if your goal is weight loss. Of course, the above list is non-exhaustive – we have covered the most readily available & the healthiest types of seafood, however one of the great things about seafood is that it is extremely varied. If you live by the seaside, you’ll be spoilt for choice of fresh fish, but you can get the most popular types of seafood almost anywhere in the world nowadays. Canned fish is a good option if your choice is otherwise limited, and can be a very convenient snack. Most seafood is very keto-friendly, due to its low carb content (most of it sits at 0 carbs), so including it in your diet at least 1 or 2 times a week will be both easy (regarding your macros) and very beneficial. What is your favourite type of seafood? How do you cook it? Share your tips with us in the comments below!